Home / GST-Tally / TallyERP.9 Lessons / How to use Purchase Order including GST Taxes in Tally.ERP9? 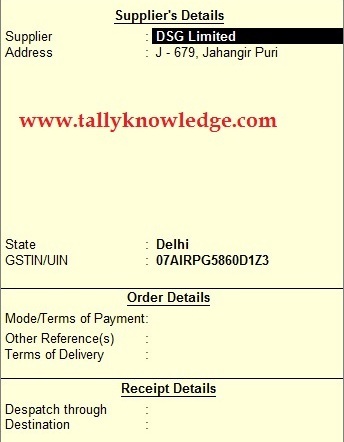 How to use Purchase Order including GST Taxes in Tally.ERP9? 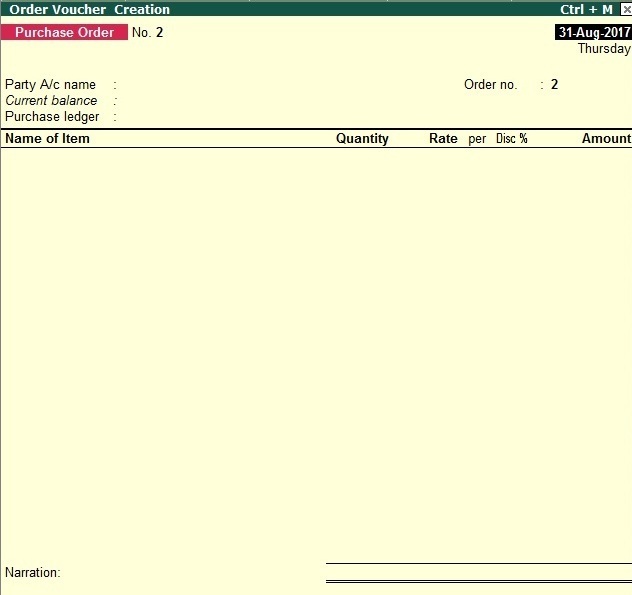 In this post, we learn about Purchase Order (PO) Processing in Tally.ERP9? 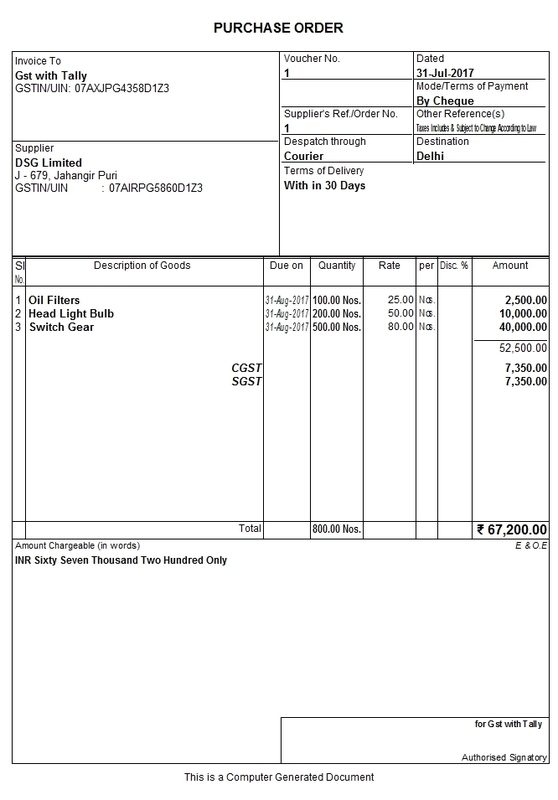 Purchase order is a document, which contains summary of order placed by Buyer. Generally a PO contains details of PO Number, PO issue date, PO due date, Total Quantity to be required, Rate of the Product, Shipping Method etc. You can see Order Vouchers will be activated on your Gateway of Tally. Press E to record a Order Voucher and then press Alt + F4. Purchase order will look like this. Remember, before create Purchase Order you need to get quotation from supplier. Read this: How to Print Quotation in Tally.ERP9? SK Ltd. is a manufacturer of auto parts products and want to order following items to DSG Ltd. on 31.7.2016. Fill complete details in Supplier details. Select purchase classification whether it is Local or Inter State. Select stock item and press enter, System ask you to provide item allocation for each item and due date to deliver. After complete all stock items, select GST tax ledger (IGST, CGST and SGST). Press Enter to Save the Purchase Order Voucher or give a print command, purchase order will print in invoice mode. "Note: To take impact of Order Number in purchase voucher you must have enable Supplementary details in purchase voucher, otherwise you will not able to adjust PO with Purchase Entry"